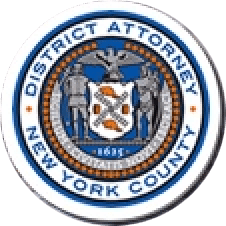 Manhattan District Attorney Cyrus R. Vance, Jr., today announced the trial conviction of GIGI JORDAN, 53, for the February 2010 death of her 8-year-old son Jude Mirra. A jury in New York State Supreme Court found JORDAN guilty of Manslaughter in the First Degree under the sole count in the indictment against her. As proven at trial, on February 3, 2010, JORDAN checked into a room on the 16th floor of the Peninsula Hotel on Fifth Avenue and West 55th Street with her 8-year-old son, Jude Mirra. Between that night and the early morning hours of February 5, 2010, JORDAN fatally poisoned her son, giving him extremely high doses of prescription medications, forcing many down his throat with a syringe. When police responded to the scene, they found JORDAN sitting next to the bed where her son lay unresponsive, surrounded by pills and pill bottles. Assistant District Attorney Matthew Bogdanos tried the case with the assistance of Assistant District Attorney Marit DeLozier under the supervision of Executive Assistant District Attorney John Irwin, Chief of the Trial Division. Assistant District Attorneys Kerry O’Connell, Peter Casolaro, and Aaron Ginandes provided valuable assistance throughout the pendency of the case, as did Paralegal Cianne Jimenez.